Released in March of 2004, Runecrafting is easily one of the most profitable skills in the game, which is the reason why thousands of players take on the challenge to make exceptional amounts of gold. However, the deterrent factor of Runecrafting is its slowness, repetitiveness and tediousness. Embarking on this challenge will require quite a lot of determination, but it’s all worth it in the end. Get ready for a long journey, as in this OSRS Runecraft guide, we go through not only the fastest ways to 99, but also the most profitable. Just before we jump into our OSRS Runecrafting guide, we recommend a few quests for you to complete that provide Runecrafting. Any skill, especially Runecrafting with its slow early levels, can be easily zoomed through via questing. Here’s the full list of quests in OSRS that provide Runecrafting experience. To make your Runecrafting journey a little easier, we recommend getting the following items. Since you’ll be running constantly throughout your Runecrafting journey, the graceful outfit will help you tremendously. In its most basic form, the graceful outfit, once worn, provides a weight reduction for your character, thus increasing the time you can run continuously. Additionally, once the whole outfit has been worn, your run energy is restored 30% faster. Now, to get this outfit, you’ll need to do some agility – a lot of agility. More specifically, you’ll need to be doing rooftop agility courses, which you can find around Gielinor. While you’re completing the rooftop agility courses, you’ll stumble upon ‘Marks of Grace’ here and there. Make sure you pick these up, because they become pivotal in attaining the graceful outfit. You’ll need 260 marks of grace to purchase the whole graceful outfit from Grace (who can be found in the Rouge’s Den), but you can purchase each piece individually. The hood costs 35 marks of grace and provides a 3 kilogram weight reduction, the top costs 55 marks of grace and provides a 5 kilogram weight reduction, the legs cost 60 marks of grace and provides a 6 kilogram weight reduction, the gloves costs 30 marks of grace and provide a 3 kilogram reduction, the boots cost 40 marks of grace and provide a 4 kilogram reduction, and finally, the cape costs 40 marks of grace and also provides a 4 kilogram weight reduction. To assist you on your continuous journeys of running while training Runecrafting, stamina potions will be of great benefit. Stamina potions, once you drink a dose, restores 20% of your run energy, but also reduces the rate of losing run energy by 70% for 2 minutes. And considering the fact you’ll be running quite a lot, this will prove to be almost necessary. You can buy these from the grand exchange, or make them yourselves, with 77 herblore, a super energy potion and amylase crystals. To maximize both profits and experience rates, you’ll need to get essence pouches. Essence pouches are bags which take up a single spot in your inventory but are able to hold certain amounts of either pure or rune essence. To get the first ‘tier’ of the pouches, the small pouch, you’ll need to complete the ‘Enter the Abyss’ miniquest. To get the next three tiers can be attained via killing Abyss monsters in the Abyss, which can be accessed via the wilderness. The small pouch carries 3 essence and can be used at level 1 Runecrafting, the medium pouch carries 6 essence and can be used at level 25 Runecrafting, the large pouch carries 9 essence and can be used at level 50 Runecrafting, and finally the giant pouch carries 12 essence and can be used at level 75 Runecrafting. In the rare instance that your pouches break, you can repair them by talking to the Dark Mage, in the center of the Abyss. For this guide, you have the options of going down two routes: Fast and Profitable. Keep in mind, for the Fast route, you will be losing money, but getting relatively high experience rates and for the Profitable method you will be getting medium experience rates but a lot of money. To kick off your journey to 99 Runecrafting, you’ll be crafting air runes from level 1 through to level 9. You’ll only be doing this for a couple mins, so don’t get too comfortable! To craft air runes, you need an air tiara (or a talisman, but a talisman is less efficient), as well as some pure or rune essence. Also, to speed up your runs, we recommend bringing Falador teleports, essence pouches lightweight gear and even stamina potions. With your lightweight gear, unnoted essence, essence pouch (if you’ve got one), Falador teleports, air talisman and stamina potion, start at the Falador bank (the one just east of the castle). From there, follow our attached map to the air altar, and enter it. Once you’re inside, simply use your essence on the altar, craft your air runes, and teleport out. Now it’s as simple as completing that all over again until you reach level 9. 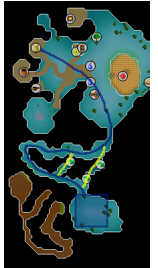 Keep in mind, a possible substitute for levels 1-9 can be the Abyss miniquest (If you plan on making significant profits from Runecrafting, you’ll need to have the Abyss miniquest done). Just like the air runes, you’ll only be crafting Earth runes for a few minutes, up until level 14. For this, bring your earth tiara, pure or rune essence, essence pouches, Varrock teleports, lightweight gear and stamina potions. With all your items equipped and, in your inventory, start at the Varrock east bank, and follow our attached map to the earth altar, and enter it. 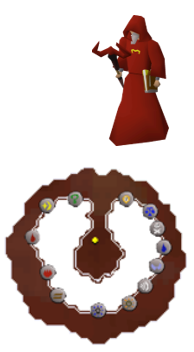 And just like for the air runes, simply use your essence on the altar, craft your runes and teleport back out to Varrock. Repeat those steps until you reach level 14. As a substitute, you can complete the Eyes of Glouphrie quest to jump straight to level 23. From levels 14 through to 23, you’ll be crafting fire runes. Don’t worry, crafting Fire Runes are exceptionally quick, so you’ll zoom through these levels. For this, bring your fire tiara, pure or rune essence, essence pouches, rings of dueling, lightweight gear and stamina potions. 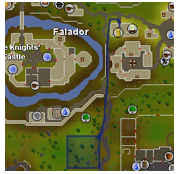 With all your items, start at the castle wars bank (which can be accessed via the dueling ring teleport) and teleport via the dueling ring to the duel arena, and head slightly north to the fire altar, as shown on the map, and enter it. And just like each method we’ve already gone through, use your essence on the altar, craft your runes and teleport back to castle wars. And you guessed it – repeat until you reach level 23. Now, for the fastest Runecrafting method in this whole OSRS Runecrafting Guide – crafting lava runes! This is the final stretch to 99! Keep in mind, unlike its counterparts, you will end up losing money in this method, but it won’t be a tremendous amount. For the most efficient way to craft lava runes, you’ll need level 82 magic for ‘magic imbue,’ which is unlocked after the completion of the lunar diplomacy quest. This spell simply removes the need of a talisman while crafting combination runes such as lava runes. If you do not have magic imbue, you’ll need to bring a talisman for every single run. For this, bring your fire tiara, binding necklace (to ensure 100% successful crafting), lightweight gear, essence pouches, pure or rune essence, rings of dueling, earth runes, rune pouch holding law, cosmic and astral runes and stamina potions. With all your items equipped and, in your inventory, start at the castle wars bank and teleport via the dueling ring to the duel area. 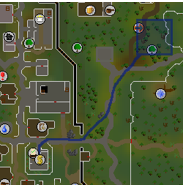 Use the map attached in the method to make fire runes, and head to the fire altar. Just before you enter the altar, use your magic imbue spell. Once you’re in, use your earth runes on the fire altar, and you’ll start to make lava runes. Once you’ve converted all your essence into lava runes, simply teleport back to castle wars and repeat it all over again! This method is the exact same as before in this OSRS Runecrafting Guide – so scroll up! Or, you could just complete the ‘Enter the Abyss’ mini quest. Exact same as before – scroll up! Now – we start to make some money in this section of this OSRS Runecrafting Guide! From levels 13 through to 44, you’ll be crafting mud runes. To craft mud runes with the greatest efficiency, you’ll need level 82 magic for the ‘magic imbue’ spell in the lunar spell book (which is unlocked after completing lunar diplomacy). This spell negates the need of bringing a talisman to the altar. To make mud runes, you’ll need an earth tiara, binding necklace, lightweight gear, essence pouches, pure or rune essence, Varrock teleports, rune pouch which holds law, cosmic and astral runes, stamina potions and water runes. With all your items equipped and, in your inventory, start at the east bank of Varrock, and follow the map we’ve provided to the earth altar. Before you enter it, use your magic imbue spell. Once you’re in, use your water runes on the earth altar, and you’ll start to make mud runes. After you’ve crafted all the runes you are able to, simply teleport back out to Varrock, and repeat the whole process until you reach level 44. Continuing on in the profitability section of this OSRS Runecrafting guide, you’ll be crafting nature runes from levels 44 through to 59. Unlike our previous methods, we’ll be crafting nature runes through the Abyss. Keep in mind, to access the Abyss, you’ll need to go through the wilderness, so don’t bring anything you won’t want to lose. Also, you’ll need to complete a relatively short mini quest, called ‘Enter the Abyss.’ For this method, you’ll need lightweight gear, essence pouches, pure or rune essence, amulet of glories (charged), stamina potions and a pickaxe (any would work). 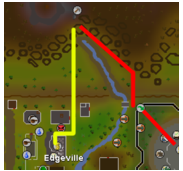 With all your items equipped and, in your inventory, start at the Edgeville bank, and follow the yellow line as shown on the map adjacent to the Mage of Zamorak. Right click on him, and teleport to the Abyss. Once you’re in the Abyss, you’ll need to work your way inside. You’ll spawn in the outer ring, and you’re going to try get into the inner ring. To get into the inner ring, you can either use the rocks to mine through, the distracting eyes or the gaps to squeeze through. Using the adjacent map, you can see that the nature altar is second to the left on the north side of the inner ring. Simply enter it, and you’ll be instantly transported to the nature altar. From there, it’s as simple as using your essence on the altar, crafting all your nature runes and teleporting out to the bank in Edgeville via your amulet of glory. Drink a stamina dose and repeat the whole process! For the next method, crafting cosmic runes from levels 59 to 82, you will get a massive profit (over 100 million!). For this, you’ll have to complete the Lost City quest, which is a quest you’ll need for your Runescape journey anyway. For this method, you’ll need your lightweight gear, essence pouches, pure or rune essence and stamina potions. Once you’ve got all that, head to Zanaris, which can be accessed by wielding a dramen staff and entering the shack in the Lumbridge swamp, or by using the fairy ring teleports. Once you’re at the back in the top right, follow the path as shown on the map. 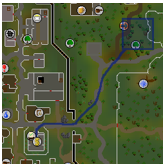 If you’ve got an agility level of less than 46, you’ll be using the blue path. However, if you’ve got an agility level between 46 and 65, you’ll be using the left yellow path. And finally, if you’ve got an agility level of at least 66, you can use the right yellow path for maximum efficiency. Once you’re at the chaos altar, simply enter it, use your essence on the altar, convert it all into cosmic runes, and head back out to the bank located in the north-west of Zanaris. To make even more money, at even higher experience rates, you’ll be crafting astral runes from levels 82 through to 91. To craft astral runes, you’ll need to have completed lunar diplomacy. If you haven’t completed Dream Mentor, you’ll need to bring along your Seal of Passage. For this method, bring your lightweight gear, essence pouches, pure or rune essence, stamina potions, earth staff and law runes (also, make sure you’re on your lunar spell book). With all your items, head to the Lunar Isle village bank. From there, simply make the journey south-east to the circled area on the map adjacent, which is the lunar altar. Simply enter the altar, use the essence on the altar, and craft all your essence into astral runes. 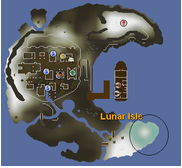 Now, head over to your spell book, and use the ‘Moonclan Teleport’ to get back to the lunar isle bank. Repeat it all over again until you’ve reached 91 runecrafting! Exact same as before, but this time – you’ll be making more money, and getting to level 99! 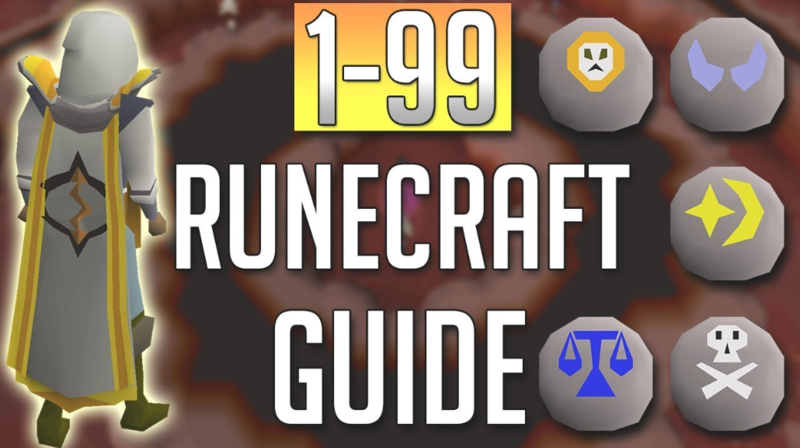 And there you have it – a 1-99 OSRS Runecrafting Guide! Have fun grinding it through this skill, and good luck getting that mastery cape!